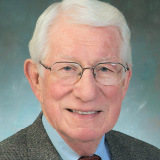 Gil Carmichael is founding chairman of the Intermodal Transportation Institute at the University of Denver, 601-483-9712, and a former U.S. Federal Railroad Administrator. The United States is finally beginning to realize that we must develop a new transportation policy that meets the dynamic market demands of both domestic and global trade. The Interstate Highway System of the previous century, created during a 40-year era of “cheap fuel” and serving primarily U.S. highways and airlines, performed well. But today, with a population that has doubled, and continues to grow exponentially, our transportation infrastructure is disconnected, deteriorating, energy-inefficient, and congested. It simply does not fit or function well in a new global economy. We should congratulate the Federal Railroad Administration (FRA) for taking a significant step toward creating a new National Rail Plan. The FRA could go even further, however, in addressing the needs of what is today a “globalized intermodal” transportation infrastructure. Trends—June 2016U.S.-Canada Trade: Getting a Line on Cross-Border ShipmentsRail Trends Recap: Shared Strategies, Mixed SignalsHave You Seen That 584-Page ‘Map’ Yet?Transportation Infrastructure: Building Hope for the FutureAmerica’s Hardened ArteriesEconomic Development: Pulling the Right StringsA Lost Art?Tiger Grants: Road Work Ahead?Transport Funding: Who Gets the Big Piece of Pie?